Even though natural oils have been used for beauty purposes for centuries, I know a lot of women fear or stay away from oils to apply on their faces. I know that because I was one of them. My skin is a good combination skin. Oily around my forehead and chin area then we get the dry patches around my cheeks and sometimes on my nose. I always wanted to add oil to those dry spots and avoid the rest of my face and since it was just too much work I never went for the oil. Now everything has changed! I add oil into everything I apply on my skin! Weird I know. What I have been using are the Josie Maran Argan Infinity Cream. It is an intensive cream, thick and works in so many ways. I even use this under my makeup when I want a dewey finish. And of course you can use it to moisturize, soothe irritated skin smooth flyaways…the list goes on. Then there is my Goē Oil. First off, the smell is to die for.And the mixture in this is insane (hence the cost) But a little tiny bit really does go a long way. I like using this at night for intense moisture. Don’t worry you wont wake up in the am with greasy skin. It will be looking fresh! For the mixed fancy oils, the list can keep going. But I bought these just because I didnt know the difference. Then I studied a little more about oils and what they are good for. 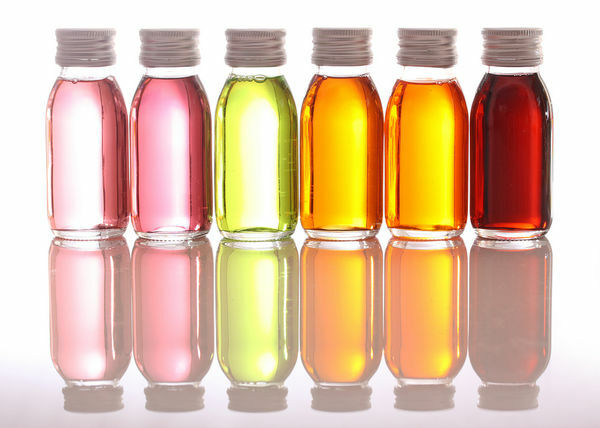 So now for a fraction of the cost you can buy natural organic oils and mix your own OIL!! Easy way to put it: almond oil is rich in monosaturated fats, making it super hydrating for both skin and hair. Jojoba oil comes from the desert shrub of the same name; it does well in rough climates. More surprising is its chemical structure, which is strikingly similar to our body’s own natural oils. Yes it moisturizes hair, skin and nails, but it’s also a great cleanser and lip conditioner and a safe carrier oil, meaning you can add essential oils. Grapeseed oil boasts antioxidants and fatty acids that can help stop acne. Its astringent qualities can also tighten the skin, especially under the eyes, making it a natural option for dark circles and anti-aging. You’ll find this geranium oil, a natural astringent, in chemical-free deodorant. It doesn’t just reduce body odor though, it also treats oily skin and acne (including scars), calms inflammation, and can boost circulation. Lavender oil’s the most anti-bacterial on this list. It also earns top billing on most aromatherapy blends thanks to its ability to soothe headaches, aid sleep, and calm the nervous system. Also great with flea’s on dogs. Olive oil is the ultimate deep conditioner for your hair, thanks to Oleuropein (which is also found in argan oil) and squalene. The former’s full of antioxidants and anti-inflammatories—which is why olive oil’s also surprisingly good for your skin. It can help soothe eczema, repair collagen, and it even has anti-microbial properties. Rosehip oil, from the flower’s seeds, is full of beta-carotene, retinoic acid, and omegas-3 and 6. What does that mean? That it works wonders on sun burns, scars, and eczema. It can also strengthen and heal brittle nails, so rub it onto your cuticles nightly. If you buy one oil, make it coconut. Click here to read why. For my Jojoba oil, I like to use to when I am taking my makeup off. I mix this in with my Bioderma. Makeup comes off easier and my skin is left smooth to the touch. When I wash my face right after it feels like there is this thin layer of softness and its the most amazing feeling! This also works as a great carrier oil , which means that you can use it with essential oils wether you are burning them or making an oil perfume. Oh My Gosh…soooo many ways~! Almond Oil, I like to add into my natural creams for my body to give it extra moisture. Its like I made my $10 body cream into a $60 one. Another one that I use that is not mentioned above is Castor Oil. This oil was used long ago for the wrong reasons. Today it is used as a topical oil and works wonders! One way I like to use it is , in a small container I put castor oil and jojoba oil and mix. At night I take an old spooly and use that to add some oil onto my eyelashes. This helps promote growth and get stronger, longer lashes! You can use the oil to give your self a head massage and help with hair growth. OR you can mix the castor oil with some coconut oil and place it at the ends of your hair, tie up and possibly wear a shower cap you took from the last hotel you stayed at.And Viola! You have just made your self a hair mask! All natural and very effective. So many ways to incorporate oil into your daily skin/body care. It really did help me when my face had broken out into rashes over an allergic reaction. I would wash my face with all natural soap (or even water sometimes) then I would apply some rose water and some oil. Depending on that day I would choose what oil I think I needed. And that was that. No creams used. It calmed everything down. Redness went away, then the rashes. How do you use them? I always, always learning new things and if you have any advice or links, send them over. Would love to learn more about these magical things.